Load your guns and sharpen your knives, 'cause the war is coming. We are anticipating one of the greatest struggles known to men, as the three champions are getting ready. This is the console war, it's going to be bloody, it's going to be dirty, and the future of the game industry is depending on this. Well, maybe I'm exaggerating a bit. But it is indeed a spectacular year we have ahead of us, when the last two consoles are launched, and the next-generation of gaming, that media has hyped up for a couple of years now, can finally start for real. In this article we will try to introduce you to the Wii, Nintendo's flagship in the aforementioned mentioned battle, and obviously the one that you'll read most about here on this site. When starting to figure out what their console should be like in this generation, Nintendo from the start decided to do something new, something different. They weren't going to make Gamecube 2, but instead try to make something completely new and innovative. Something that could change the way we look at gaming, and more importantly the way we play games. A pretty ambitious project one might say, but as the big N' were revealing more and more of the console codenamed “Revolution”, people were starting to realize that if there is one company who could change the gaming industry for ever, it sure is the veterans from the land of the rising sun. While the other two firms, Sony and Microsoft, are going for pure hardware power, Nintendo tries to focus more on gameplay. The Playstation 3 and Xbox 360 won't bring any new aspects to gameplay, other than improved graphics and online system, you still play exactly the same way as before. 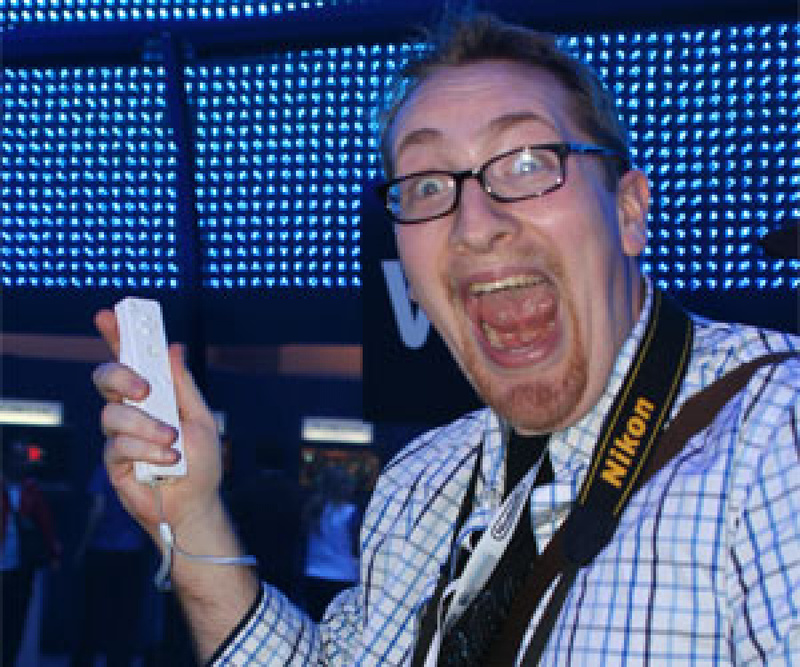 But with the Wii on the other hand, you will hopefully experience something that you've never done before, at least that is what Nintendo wants. The number one key part in this thing, is it's controller. Equipped with an built-in sensor, the controller can detect your movements, so if you for example want to swing your sword in Zelda, you actually swing the Wiimote in the direction you want to, and aim at the foe you want to smash. Simple, but still so genius and revolutionary. In addition to this, the controller is also geared with a speaker, so you can hear your sword swings or light saber movements! But many people are skeptical about the controller, and some seem to be bugged by the fact that you now actually have to move your body a little more than most gamers are used to, and they are worried that you might be exhausted after an hour of playing, which of course wouldn't be fun. But from what we've seen, you don't have to worry. The Wiimote is very sensitive, so you only have to do small movements with your hands in most cases. But there are exceptions though. In mini-games like "Super Monkey Ball: Banana Blitz" and "Wario Ware: Smooth Moves" you sometimes have to wave around and shake your controller fast, but I guess some exercise wouldn't hurt anybody. So with it's slim and beautiful design and it's very pleasant price tag, the Wii will try to combine the well-known and critically acclaimed franchises of Nintendo, with innovative and unique gameplay mechanics that we have never seen before, and that will offer us something more than just improved visuals. With Nintendo bowing out of the graphics race and going their own path, they obviously lost a lot of customers who are only thinking about the visuals in a game, so they had to come up with something to make up for that. The answer is rather simple, and they have already started doing it with their handheld console, the Nintendo DS. The lack of state-of-the-art technology and hardware has it benefits, Nintendo can price their console at half the price of its main competitors. And this is how they will compensate for the lack of the best graphics, they are expanding the market, and bringing gaming to non-gamers. With DS games like Brain Age and Nintendogs, Nintendo started to try out their new philosophy, and with the two games being smashing success, they opened up the world of gaming for people who usually don't play games, and that is what they want to do with the Wii too. So now that you know what the philosophy behind the box is, let's take a closer look at the console and all the mysteries it hides. 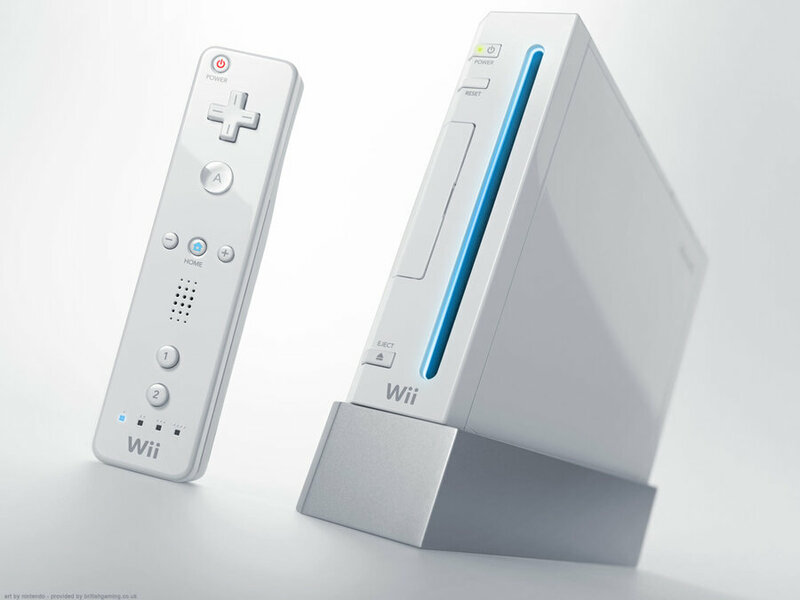 About 8.5 inches long, 6 inches wide and less than 2 inches thick, the Wii is around the size of three DVD cases stacked together, and is undoubtedly the smallest of the three consoles. It has also received positive feedback in regards of the design, and personally, I think that with it's slim and compact look it is the most beautiful Nintendo machine ever. As mentioned, the Wii won't have as good hardware as the PS3 or the Xbox 360, but it's the only console that is a hundred percent compatible with it's predecessor, which in this case is the Gamecube. So you get to play all the classic titles from the Gamecube, expanding the game selection of the console beyond it's two opponents. And if that wasn't enough, players will also be able to download nostalgic games from NES, SNES, Nintendo 64, Sega Mega Drive and Turbografix, using Nintendo's own time machine, the Virtual Console, a built in downloading system and emulator. As for the hardware, it is based on the same architecture as the Gamecube, even so, it should be a lot more powerful than the cube. The heart of the system, the CPU, is a Power-PC CPU, codenamed “Broadway”, and it's developed by the veterans at IBM, made with a 90nm SOI CMOS process, meaning that it draws 20% less power compared to the Gekko, the CPU of the GC. This makes Wii by far the most efficient of the 3 main consoles. The IBM processor will be accompanied by a GPU made by ATI, also based on original Gamecube hardware. 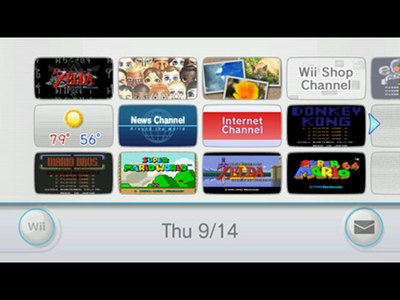 The whole interface and navigation system of the Wii is based on what Nintendo calls “Channels”. To put it simple, channels are sub-categories in a menu, only a little fancier. At startup you'll get strait to the channels, and with your remote you can navigate and choose between all the channels. 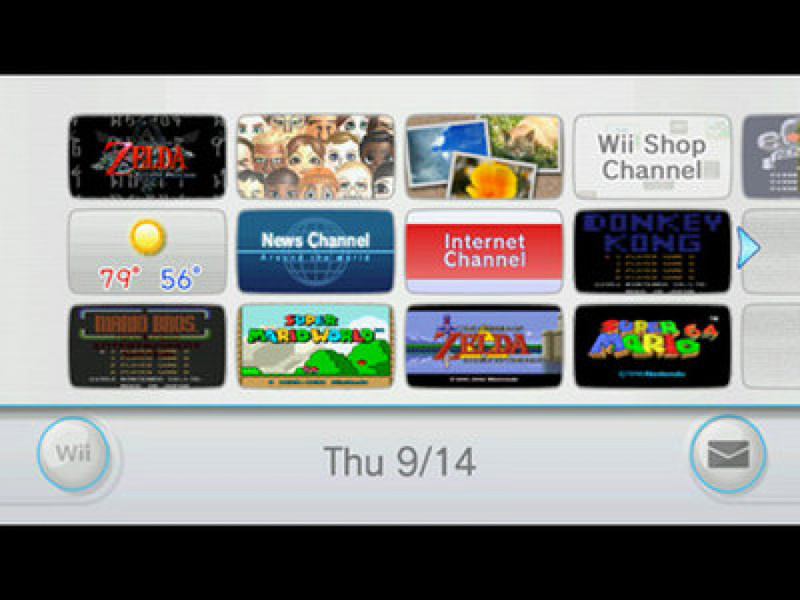 You will also be able to customize the channels, and add or remove the ones you want to show at startup. The most obvious channel, and probably the one you'll use the most is the “Disc drive”, the one you'll have to select to play the game that is currently in your Wii. Other options are the “Internet channel”, the “Message Board”, the “Virtual Console”, the “Weather Channel”, the “Picture Channel”, the “Avatar Channel” and the “News Channel”. Some of the channels are obvious, and some of them might be familiar, but I'll try to explain a few of them. The Message board is simply a place where you can send and receive messages to other family members, so basically it works as an electronic post-it wall. If you select the weather channel, you can check the temperature and current weather at places near you, not the most important part of this magical box I guess, but it could come in handy. One channel that is interesting though, is the avatar channel. Here you can create an avatar, or so-called “Mii” of yourself, that you can then import into games that support it, and play as yourself. Look out for games with the "Mii Compatible" emblem. As the gaming industry is developing and progressing, the customers are demanding and expecting more from their games, and since the introduction of online gaming came years ago, it has grown and become one of the most important mechanics of a game, people like to be social, many people find it more fun to play and compete with other people, rather than just killing brainless robots controlled by the computer. So with that said, Nintendo will probably do their best to offer a good online experience on the Wii. First of all, you can play with your friends online using Wi-Fi Internet connection, and second, the console uses a system called Wiiconnect24, that allows it to download updates to a game, even when the power is turned "off". We still don't know which games will have online support, and which who won't, but we do know that it will be free, contrary to the Playstation 3 and the Xbox 360. But playing games isn't the only thing you could do online, bundled with the machine comes a exclusive and special developed Internet browser, made by the Norwegian company behind the well-known PC/Mac browser, Opera. So while relaxing in your couch, you could just swap from game mode to Internet mode, and surf the net with your remote, checking your e-mail or the latest news at NintendoLife.com. 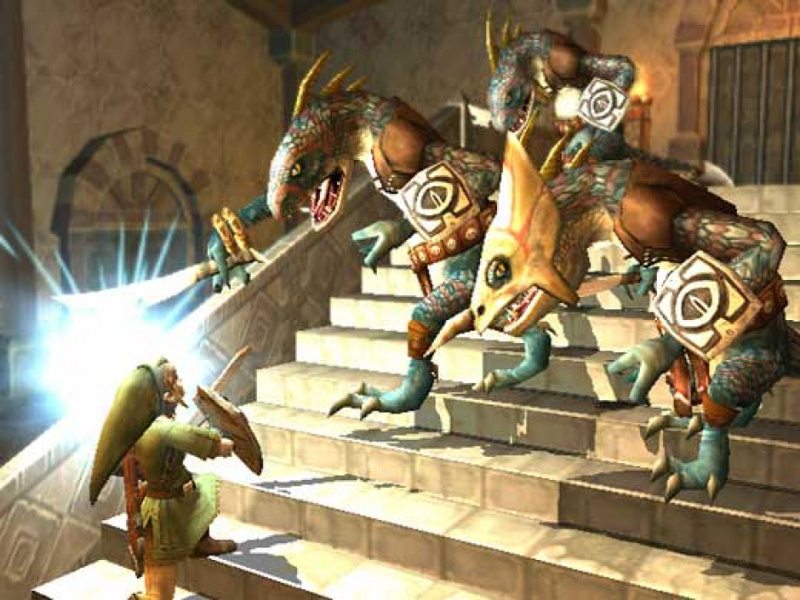 To sum up, the Nintendo Wii will hopefully resurrect the industry that is focusing more and more on the visuals of a game, and less on the gameplay. From what we've seen so far, it looks very impressive, and we can only hope that the games will redeem our expectations and set the standard for what a good game should be like in the next generation of console gaming. You've got me foaming at the mouth here.. not too long to wait now!